Much current popular discourse on immigration is often dominated by tabloid hysteria and dangerous political games. Concern about this has been voiced by many, including my former Sunday Times colleague, Liz Gerard, “The press and immigration: reporting the news or fanning the flames of hatred?” This polemic tends to dehumanise individuals and ignore the complex economic, political, social and emotional drivers behind the movement of people. In her recent article in Area, Lucy Jackson seeks to explore the emotional impact of immigration and how it shapes real lives. 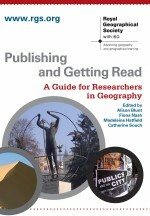 Jackson takes the body as the territory she explores, following the work of Longhurst (1994) who describes the body as the “geography closest in”. Jackson works with two different sets of women in Singapore; western expatriates and foreign domestic workers (even these commonly used words are loaded with assumptions). The two different groups of women have contrasting experiences of stigma and exclusion within Singapore and effectively live “separate but parallel lives”. However, despite their differences, the women share many commonalities and can all be described as economic migrants. Singapore has actively encouraged temporary migrants but the participants were often discriminated against as outsiders. Their autonomy is limited by a range of social forces which range from comments in the street to being unable to open their own bank account or feeling restricted to certain areas. They create their own distinct personal territories which are both geographical and emotional. Food and clothing become very important as markers of identity, memory and community. Both groups suffer ill-effects as a result of stigma and stereotyping, although their experiences are very different. Borders operate and impact at many different scales and Jackson concludes “the border of the body is porous and migrant women actively practice and perform aspects of ‘border maintenance’ as a reaction to being excluded emotionally and physically from the social and cultural territory of the host society” (Jackson, 2016 p297). Jackson’s work is attentive to individual, embodied experience and humanises the impact of social policies based on exclusion and othering. I fear this is a task that becomes ever more necessary for academics, activists and anyone concerned with civil liberties and freedom of movement. This entry was posted in Area and tagged bodies, Gender, identity, Migrant workers, migrants, practice, Singapore, Territory on April 18, 2017 by moragrose. The impact of austerity, welfare cuts and the retreat of the state means voluntary organisations play an increasingly important role in the lives of many people. For example, The Trussell Trust have reported that use of food banks is at a record levels and the recently published UK Civil Society Almanac 2016 provides further evidence of the impact of the third sector. There are many important questions raised by this but in this post I will focus on volunteers. Individuals volunteer for many reasons, including altruism, and in turn often benefit from the experience of volunteering. Francesca Moore offers a fascinating historical insight with ‘” A Band of Public-Spirited Women”: Middle-Class Female Philanthropy and Citizenship in Bolton, Lancashire before 1918’, a paper recently published in Transactions of the Institute of British Geographers. Archive material contributes to her group biography of the eponymous women. Moore uses a Foucauldian analysis of power to consider what voluntary work meant for them and wider society. Philanthropy has moral, political, spiritual, philosophical, social and cultural dimensions, and she also explores what citizenship can mean for those without a vote or other legal rights. The philanthropists Moore studies primarily focused on ‘poverty, child welfare, infant health, prostitution and drunkenness. These social issues were often understood at the time as a form of personal inadequacy, or moral failure, which rendered them solvable by behavioural change’ (2016: 153). This resonates with many current debates about entrenched inequality, unemployment and obesity amongst others. After the Boer War (1899-1902) there were widespread concerns about falling birth rates and an unfit population so philanthropists fought for moral and physical health. A focus on children’s welfare illustrates a concern for the future not just of individuals but of the nation. Moore suggests ‘women philanthropists engaged in what could be termed race work through infant welfare clinics, improving the quality and vitality of the population…. Biopolitical concerns were addressed in a bottom-up fashion… (as) a biopolitical patriotism’. (2016:157). As a disabled person I am deeply concerned eugenics still lurks behind much contemporary rhetoric about welfare and we must beware of its pernicious influence. It is clear class was an important constituent of the philanthropic relationship. The work the women engaged in was also profoundly gendered, being considered maternal and caring. Such endeavours were one of many ways women challenged and transcended the divide between private and public spheres. The divide between “citizen” and “other” is also blurred and complex. Philanthropy demonstrated an ability to contribute to civic society and staked a claim for full citizenship. These women campaigned for, and influenced, social policy in many areas. Many of Moore’s sample were active in the Suffrage movement and their philanthropy was, at least in part, a way of demonstrating they had earned the vote. Moore’s study ends in 1918 when the First World War had changed the landscape and The Representation of The People Act gave women over 30 the right to vote. Today in Bolton something of the legacy of those “public-spirited women” lives on. The Greater Manchester for Voluntary Organisation (GMCVO) profiles a thriving and diverse voluntary sector which continues to provide valuable support services to many people. This entry was posted in Transactions of the Institute of British Geographers and tagged bolton, Foucault, historical geography, philanthropy, Volunteering, Women on April 19, 2016 by moragrose. David Cameron recently announced plans to introduce parenting classes, in part as way to combat poverty. Aside from valid criticisms of heteronormativity, troubling assumptions about what makes a “good” family, and a disregard for established support networks, this ignores the complex causes of poverty and impact of austerity. Sarah M Hall has been conducting long term ethnographic research on families living with, and in, austerity. Much research focuses on large scale economic impacts but Hall works at the level of personal and intimate geographies. This reveals the complexity and diversity of individual lives; there is no one-size-fits-all austerity family experience. Hall is influenced by moral and Feminist geographies and has a deep concern for the ethical impact of her work. The ethnographer is necessarily entangled with the subject of her research and becomes part of their lives for the projects duration. Ethical research acknowledges power dynamics and is constantly aware of researcher positionality but this does not preclude empathy. Indeed Hall suggests research has a caring dimension as “by listening to and empathising with participants, or in providing companionship or intimacy one can provide a caring role” (2016:3). Decisions on whether to offer financial compensation to research participants take on added weight in times of austerity. Hall did not pay her participants but offered small tokens of gratitude, which often made her part of an extended support network. The impact of austerity on families can be devastating and Hall describes conversations which she found deeply affecting. However she stresses there is a distance in the research relationship, and differences of experience, which means the researcher must be mindful not to speak for, or steal the voice of, her participants. Hall confirms JRF (2015) research that states welfare cuts disproportionately harm people already in difficult, precarious and marginalised positions. She also witnesses the unintended consequences of closing services such as libraries and the threat to community groups suffering grant cuts or loss of volunteers who need to find work. Hall treats her participants with the dignity they deserve, and implicitly challenges glib demonization. It is hard to imagine how parenting classes will help tackle structural inequality or mitigate the very real impact austerity has on families. This entry was posted in Area, Early View and tagged austerity, ethics, ethnography, Everyday Life, Families on February 23, 2016 by moragrose. In a recent article for Area, Sam Halvorsen discusses the challenges faced when trying to study social movements when the researcher has an involvement with the cause. He focuses specifically on the role of ‘militant research’ in his work with, and on, The Occupy Movement. Like Newbury, Occupy had a distinct geographical element to its fight against much bigger issues and it fought to physically claim space. Halverson states the ‘starting point for militant research is not an academic researcher seeking to further a particular strand of knowledge, but the context of political struggle’ (2015:467). He acknowledges many within those struggles are already engaged in theorising, but may have an antagonistic relationship with academic institutions. Having a dual role as a scholar and activist is not new, but it remains problematic. Universities are labyrinthine structures, constantly reshaped by the students and staff within them. They can provide opportunities to support research, engage in discussion and offer practical help such as meeting spaces. They also have strict ethical codes which may, for example, complicate relationships with direct action campaigns. The militant researcher cannot claim to be neutral – indeed the rich understanding they offer springs directly from their commitment to the ethics and aims of the cause they are engaged in. Halvorsen also discusses his experience with ORC (The Occupy Research Collective) an attempt to re-imagine research and create opportunities outside the university. This became a valuable space for discussion but encountered its own problems. Halvorsen concludes that militant research needs to constantly be ‘pushing against any form it takes, as it is only through negation (and simultaneous creation) that change becomes a reality’ (2015:469). He draws on Holloway (2002) and the idea of a dialectical relationship between protest and its wider context. This accounts for both the contradictory relationship between both universities and militant researchers and the researchers themselves who may criticise the movements they are studying. Social movements, and their struggles for justice, are key components of society. It would be disingenuous to claim researchers are, or can be, passive, objective onlookers. Taking a critical view of such movements, whilst remaining involved, is necessarily complicated but very worthwhile. Passion and an ethical commitment to a cause should not be a barrier to research, as surely scholarship should be aiming to make a positive difference to the wider world. This entry was posted in Area and tagged activism, Britain, Cultural Geography, ethics, militant research, Occupy, participatory research, Social Geography, university on January 26, 2016 by moragrose.